The “Lite” version of the Melvins (one drummer instead of two, no electric bass) is still a hell of a lot heavier than most bands on their best day, and this show at Music Hall of Williamsburg continued that trend. The band is on a quixotic mission to play 50 states in 51 days (possibly setting a world record), and this Brooklyn show found the band a little over halfway through their quest. If they were burned out from the relentless schedule, they didn’t show it; the band came out charging, in good spirits, and as ear-bustingly loud as ever. Even without their usual dual-drummer setup, one Dale Crover can provide a whole lot of percussion, and Buzz Osborne’s guitars and Trevor Dunn’s upright bass similarly held their own. 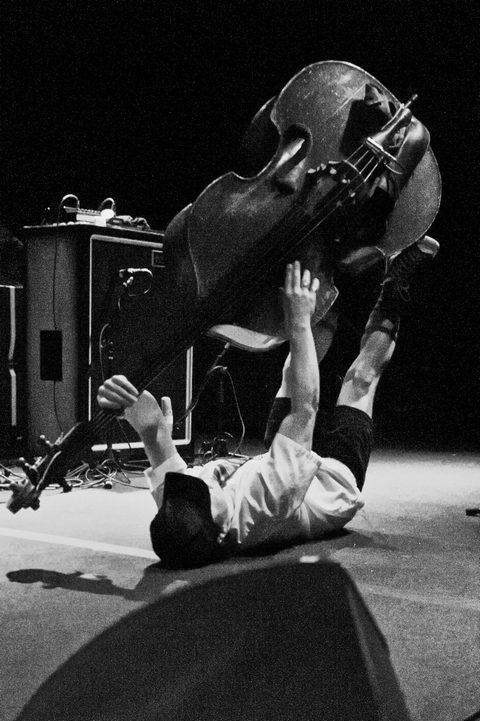 Dunn’s rocking out with the upright bass was a special thrill, as he manhandled the big bass like a smaller electric, playing on his back, twirling it over his head, and doing just about everything but smash it to bits all over the stage. This set included some crowd pleasers from the band’s best-known album, Houdini (“Hooch”, “Set Me Straight” and “Sky Pup”), but as usual, dug deep into the back catalog, kicking off with “Eye Flys” from the band’s first album, Gluey Porch Treatments. One highlight at several stops on this tour has been the “Inner Ear Rupture” and “Shevil” combo, and that closed the night’s set in special style, with the song stretching to a full 12 minutes. The band has a ways to go before they get the record, and we’re pulling for them! Johnny Fried Chicken Boy and I were in the balcony of the venue in our usual spot for this set. We used two pairs of mics that made roughly equal recordings, so much so that there didn’t seem to be much point combining the two sources. This is my Schoeps MK41 supercardiod microphones in tightly-spaced configuration to provide as much direct sound as possible. 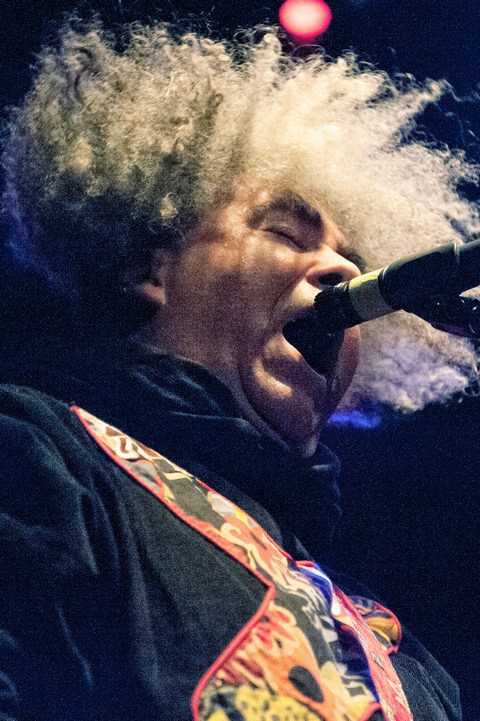 The results are comparable to the site’s other excellent Melvins recordings from Music Hall, which you can locate by clicking the “Melvins” tag below. Enjoy! 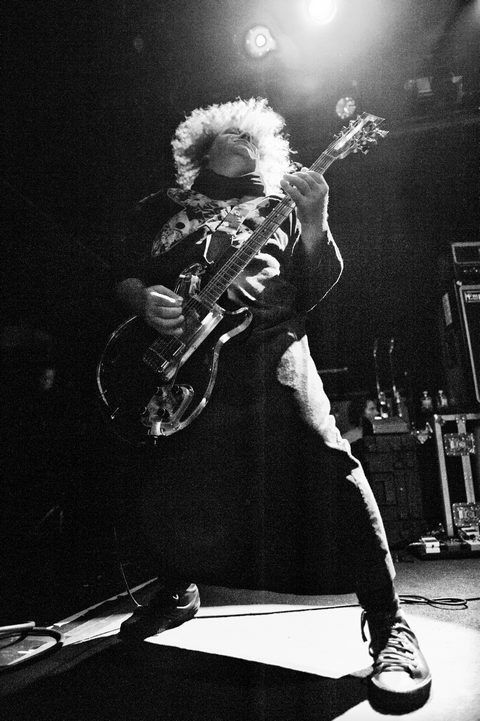 If you enjoyed this recording, we expect that you will PLEASE SUPPORT Melvins, visit their website, visit their Facebook page, and purchase their official releases and merchandise [HERE]. Looks great. Thanks for capturing this. 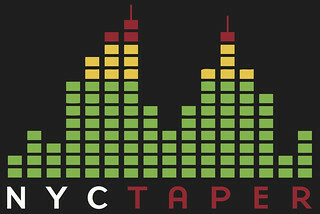 Thanks for tape and share!